I don’t care about the bonus (it wasn’t the decisive factor for me when I was choosing the broker), but the other conditions are good enough. I use a micro account, a good option for me. The choice of currency pairs is not as big as with the ecn accounts, but that’s ok since I don’t use exotic pairs too often. I will evaluate this broker as a good enough to trade with, because really…their order executions are always fast without any price re-quotes, that is what I noted and appreciate, I’ve seen rather adequate pips in times of slippage. When I made withdrawals, they came withing the same business day, but feel some disappointment with the sum of a withdrawal, cause it has to be round, so, I can’t withdraw 50,85, only 50$ (but a scalper needs this 0,85)). I just had some experience with other ECN brokers, every has its pluses and minuses, but OctaFX really surprised me, their services seem to be reliable, cause I haven’t seen some kind of a cheating or fraud from their side, these guys really work and do not play. Octafx is a big scammer. They want earn money only from the traders. They are not also ECN. Big Scam Market Maker. I was opened a swap free account in Octafx and trade with them. In SWAP FREE accounts swaps will not be added. But after few days, I closed my orders they were added commission. The commission is same as swap. But it is invisible in MT4 untill, I close my orders. I ask them why swaps are added in the name of commission in swap free accounts. They replied cool, swap free accounts made for Muslim religious and their is no difference between swap free accounts and other accounts. This is first cheating. They advertise swap free accounts available in Octafx is only attract the clients. The SWAP FREE accounts are fake. They are said the accounts are not re-quotes. But, the pending orders opened with re-quotes in the name of started/gap. ie. the buy stop orders were opened with higher price and sell stop orders quoted opened with lower price from the quoted price. Also sell limit orders opened with lower price and buy limit orders were opened in higher price. It causing the profit and give loss to the traders. This is one type of cheating with re-quotes. Their ib programs. The ib rates are vary with the no. of clients. also they give $15. for the ibs those who have more than 100 clients. All the brokers are earning money in the pip difference only and they give IB commission less than the pip difference. ie. the broker earn 10$ for one lot with one pip difference pair. (This is average). In the 10 $ they will give 5 $. It is possible to give. But in Octafx many pairs having less than one. So they will earn less than 10$ per lot. But they give 15$ IB commission, for the IBs those having morethan 100 clients. In this condition, the excess amount to give IB commission will be coming from where?. This shows they will attract more clients with attractive announcements and close the website after getting t a big money from them. But, I don’t think about the above conditions, I was trading with Octafx for past 3 months with an IB. The IB transfer the IB commission on every monday. Until last week (ie.16.02.2014) i got the IB revenue from that IB. So, I traded more lots in last week with high tension of mind same as previous trading and expect to receive my IB commission on Monday. But on Monday (ie.24.02.2014) I can’t get my IB commission. I contact my IB, why I am not received my IB commission. The IB told Octafx remove your account from my IB due to hedged trading, so I am not unable to transfer money to your account. What a big scam, I traded last week as well as my previous trading. They gave IB commission until last week. But this week they are updating their rules for IB commission ie. hedged trading will not eligible for IB commission. I accept their update, but they can’t give information about that update. If they are genuine they gave the earned money and giving a information about the trading strategy will not accept for IB commission in future. How we believe this type of cheaters. If after earning more money they with hold the profit by updating their rules, what can we do?. I’d like to put some clarity into the situation. 1.The fact that we apply commission to swap free accounts is written at the account creation page purposely to avoid any controversy. In our Customer Agreement we also state this fact and even provide a calculation. It’s just a few lines, give it a try. Our customer service team is there for you 24/5 in case you find it incomprehensible. 2.Just some basic facts. A requote occurs whenever the dealer on the other side of the trade (whether human or automatic) sets an execution delay during which the price changes. Therefore he can’t open your order and sends you a message that the price has changed. That is, a requote. And it NEVER happens in OctaFX as we have nothing to do with quotes. From your OWN words it is clear that your pending orders were executed within the price gap. Execution policy for the price gaps is also available in Customer Agreement at any time. 3.IB’s are our partners and it’s up to us to decide how much we reward them. 4.Complaint that you did not receive REBATE from your IB is completely irrelevant as it has nothing to do with OctaFX. We do not provide any rebates and never promised you so. Since Mr. Rangarajan takes every chance to copy/paste this completely erroneous text everywhere, it is getting hard for me do decide whether it is a simple misunderstanding or a deliberate lie. In 2013, OctaFX has won the Best Broker Central Asia and Best Broker Central & Eastern Europe awards from World Finance magazine. OctaFX provides a perfectly tailored VPS solution for your EA trading. Deposit to your OctaFX account and they will give you a bonus of 10% to 50%in your account. 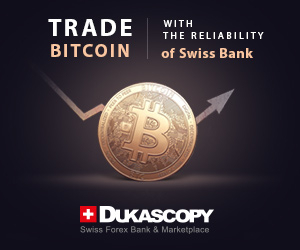 You are simply required to trade (bonus amount)/2 (bonus amount divided by two) standard lots to be able to withdraw your bonusfrom your account. you can enter the OctaFX Champion contest every month. $1000 are awarded each month. All trading techniques are welcome, whether EAs, scalping, hedging, or whatever! octafx also give to clients a chance to win king road contest and earn money. No requotes, True ECN, fast server, excellent support 30% each deposit bonus excellent broker. OctaFx uses the MetaTrader forex trading platform and it has low spreads starting from 0.2 pips for EUR/USD. A 1:500 leverage is offered by OctaFx Broker and microlots of 0.01 size so every type of forex trader should be satisfied with these features. Another great feature of OctaFx Broker is the minimum deposit of just $5 for microlots and $50 for ECN accounts and it accepts many payment methods such as: Bank Wire, Visa/Mastercard, Moneybookers, Perfect Money, CashU. Perfect Money is a very interesting online payment system headquartered in an offshore jurisdiction. With OctaFx you can use any trading strategy you want like: forex news trading, forex scalping and Forex EAs. OctaFX is THE BEST forex broker. i trade using their $8 bonus which i easily get by just registering an account there. No requotes. FAST Exection. high speed server. OctaFx broker dose not held much advertisement for the company … I think the company need a little bit populated by using such as Google, Face book and YouTube ads campaign…. I know it is expensive but also a must. well i found this broker very good .the minimum for trading is just 5$ which is affordable for every person who wish to do trade from this platform. I found that recently they have removed Webmoney from their payment method. I dont know why they have taken this step. Web money is a good payment method. I think they should bring it back to the site.Otherwise minimum spread should be 0.1 for Eurusd. The bset thing about this broker is that they have such a low spreads comparing to other brokers. the floating spread sometimes contracted to just 0.2 pip and thats why i like it the most. Also there are lots of good stuffs like a massive 500:1 leverage and the best of them is the demo contest where i have gained top 5 position 2 times but failed to attain any position to win prizes. Despite what happened with LR cause many suffers for Forex brokers accept LR as deposit way, OctaFX still stand good and never late at process withdrawal. I believe they have strong financial backup and a recommend brokers for everyone. Octa FX looks like the best broker but watch out! It’s only illusion! They wanna attract you with welcome account where everything works perfect (really the best spread and fast execution) but when you open a real account and start trading with your money they scam you!!! I opened real account, in first day everything was fine but after few trades in second day my execution was unbelievebly slow and I was executed for prices which never occur on the market at that time. They told me that it is slippage. I thought ok, it might happen. But now it happens on every trade I do. For example: 4.6.2013 11:24 I sold EURUSD, price on the market was 1.30756 but I was executed for 1.30766. 1pip from the price (+spread). I closed this contract in 4.6.2013 11:32. I had take profit (TP) on 1.30745 but was executed for 1.30771!!! That is 2.6pips from real price! Could anybody think this is slippage??? Never ever try to trade with this broker, even if it looks very nice at the beginning!!! Let me put some clarity into the situation. Slippage is a natural thing in the true ECN execution. Real market traders do experience slippage from time to time, this mostly happens because of several liquidity providers used at the same time. It is important to understand that we do not guarantee that your order will be filled exactly at the requested price; our system is set up to fill it with the next best price from another liquidity provider. Thank you for your feedback it is highly appreciated. This is one of my favorite broker. There are several reasons why i am in love with this broker. The main reason is the spread, Only 0.5 Pips for EUR/USD, there will be very few brokers who will charge less than that. Starting from minimum amount to invest, leverage , promotions everything is super fine and i don’t have any problem with this broker at all. I will definitely suggest all the traders to try this great broker out. l have really experienced a very fast and most efficient execution l have ever had it the best so far for fast traders.l love octa forever. 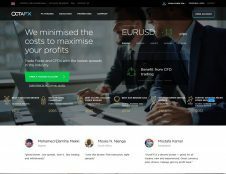 I am a Forex beginner and have been visiting OctaFx site for the past few days. This is the best site for anybody who wants to trading as beginner in the Forex market. OctaFx gives no deposit Bonus for beginner or who want to open new account and start trading with no deposit bonus also more Bonus with your own money at deposit time . i received 8USD no deposit bonus and completed 2 lots 200 trades * 0.01= 2lots i earned good money with no deposit bonus and also my account is active after withdrawal. His team are wonderful people who intend to help everybody by presenting various trading systems free of cost. They answer each and every question we have with great patience. I am extremely thankful to them and believe God has already reserved for them a special spot in heaven. thanks OctaFx team and God bless you all. You banned Nigerians? are they great traders? I think Octafx is The best one Forex Broker with No Deposit Bonus, Tight Spread, And fast execution. Everything has been fine with my OctaFX account. I deposited last month and I received bonus after depositing. First of all I would like to give this broker a big hand for making a beautiful website. It is one of the cleanest forex broker website that I have see and navigated. They also enabled mobile trading and I think that is very good because nowadays, everyone is on the go and being able to check your order through your mobile phone is really a huge advantage. Actually this is the broker that made me try mobile trading. Although I didn’t really liked it because I am unfamiliar with it, I think that in the future, this will be a good approach. There are just some things that I’d like this broker to improve. First they should start getting to know MT5. From what I know they still don’t support his platform. I would also love to have Perfect Money and Payza to be added as two of their payment processors. I really satisfied with Octafx. They give $8 no deposit and provided great trading services. I traded with them for a month on the welcome account and never get a requote, all orders filled instantly. It is really good broker. Very low spread and fast execution. But only downside is that it has not have a mobile trading software yet. Opened at them the account for receiving a bezdepozitny bonus. Put in order them сканы the documents, passed verification, a bonus enlisted. without which profit not to remove – according to their reference at forums to leave the positive reviews on them. All right, made! documents confirming that I it I.
I think any trader me will understand. With OctaFx I can trae more analized and be carefull. So I can arrange mone managemen better. I satisffied trade with octaFx. Make the new trader trade very carefully. I’m not yet trading with octafx but client support service is what impressed me the most. I contact them few times with questions and always get satisfied answers. Soon I will create account and test its trading service. $8 no deposit bonus is good chance for me to do that. Thanks. It is clear that Octafx cheats their customers. Here you can see that the spread widens always after a few of ticks up to 3 pips on EURUSD. I could not believe my eyes when I saw this. This happens during the whole day not only during asia session. This kind of cheating makes it almost impossible for traders not to hit the higher spread, especially when scalping! The funny thing is, that their demo accounts have a normal spread chart! As you can see the spread moves almost parallel. So when you want to trade with a reliable broker, do not choose Octafx! 8$ no deposit bonus is really nice one, testing it. Thank your for your feedback, we really appreciate it!